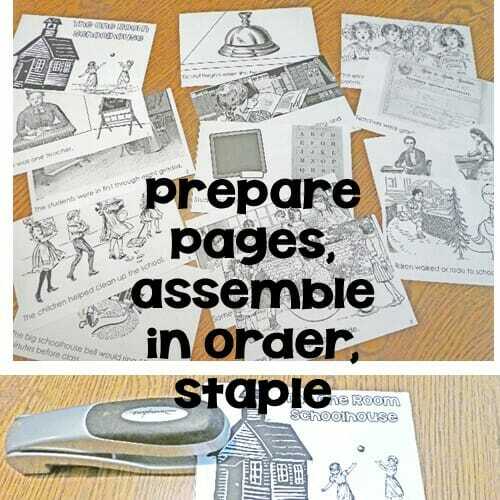 One room schoolhouse stories such as in the Laura Ingalls Wilder books are popular with primary grade students. This post is about a class field trip for a day at Cahill School in Edina, MN. 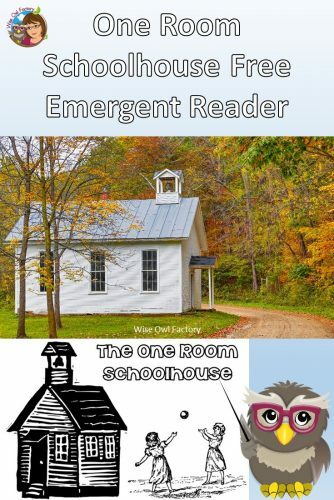 There is also a free emergent reader printable PDF near the end of the post. Our second-grade field trip to spend a day at Cahill School was centered around then and now studies as well as our letter writing unit. Students would learn about modern and historical appliances, such as record players, radios, and also phones. 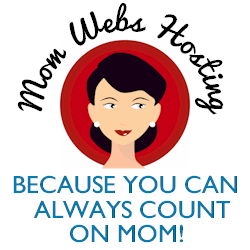 Please know I have previously posted a printable with then and now sorting cards at this link. 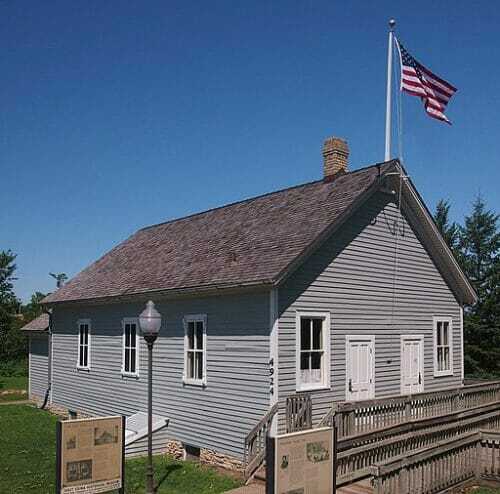 The Schoolmarm at Cahill would greet us by ringing a bell so the children could line up. Do you notice the two doors? One was for girls to enter their cloakroom, and one was the door for the boys. A big concern was would have to use an outhouse while at Cahill, but there were modern bathrooms available downstairs. The children used reading and math booklets printed as they were in 1900, and wrote answers on slates while sitting in straight rows with desks bolted to the floor. The students also worried they could be hung on a hook to be disciplined, or have to find a stick for the teacher to use on their behinds. Those things, of course, would never happen! It did provide interesting discussion in class about how children were expected to behave then and now, and what kinds of punishments used to be used. Parent volunteers were able to sit in the back of the classroom and see the entire day, which was nice. Students were expected to take lunches only using objects that would have been available in the 1900’s. For instance, sandwiches were wrapped in wax paper, and jars were used instead of thermoses. This caused some families an issue if they didn’t read the newsletter, so naturally, we had extra wax paper and jars on hand at school before the bus left for Edina, Minnesota. Dressing as children from the 1900’s was great fun! 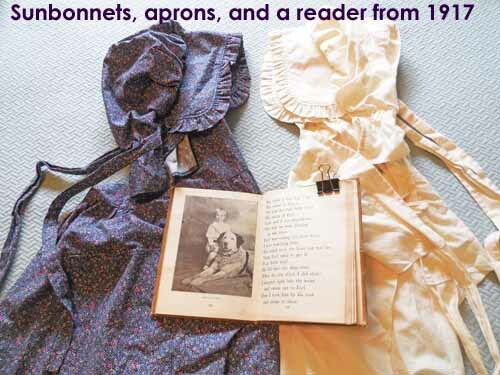 The clothing didn’t have to be only as worn at that time, but girls could wear sunbonnets and aprons. Boys tucked their jeans in their socks and wore suspenders if they had some. We begged, borrowed, and loaned these clothing items year after year for the children to wear for the special day of education. A fun experience was shopping at the store over the lunch period which had slates, handmade soaps, and other items of interest for children to take home. The “store” was a few items spread out on a table for the children to see. Interestingly, the Schoolmarm would have the children do deep breathing. Where along the way did we lose this practice in schools? She would say, “Scholars, breath in . . . ” then and hold her breath, later saying they could breath out. She signaled with her arms when to breathe in and out. That was done several times and it was good as some children had a few concerns about what the day might bring. I hope your children can perhaps visit such a living history day, or at least read about one-room schoolhouses someday. 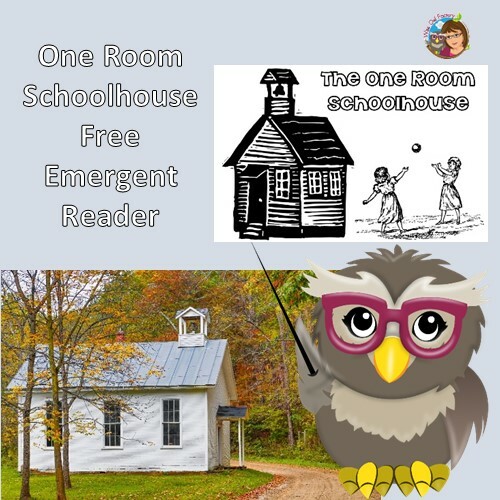 The day at Cahill School inspired me to make a free emergent read, The One Room Schoolhouse. 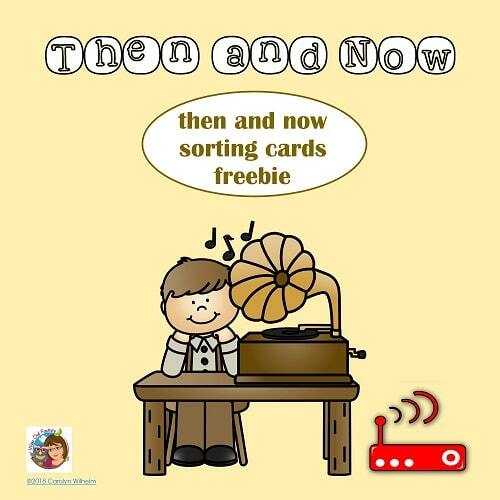 You might also like the then and now sorting cards free printable at this blog post.